Happy Sunday everyone! We are still on a bit of a high over here after our fantastic event Pitties In The Park. To everyone who joined us today! It turned out to be the most fantastic day we are overwhelmed by your generosity and donations. There are no words to express how thankful we are and what a difference your donations and assistance makes every single day to the dogs in our kennels. I think we can safely say that the dogs had the best fun. 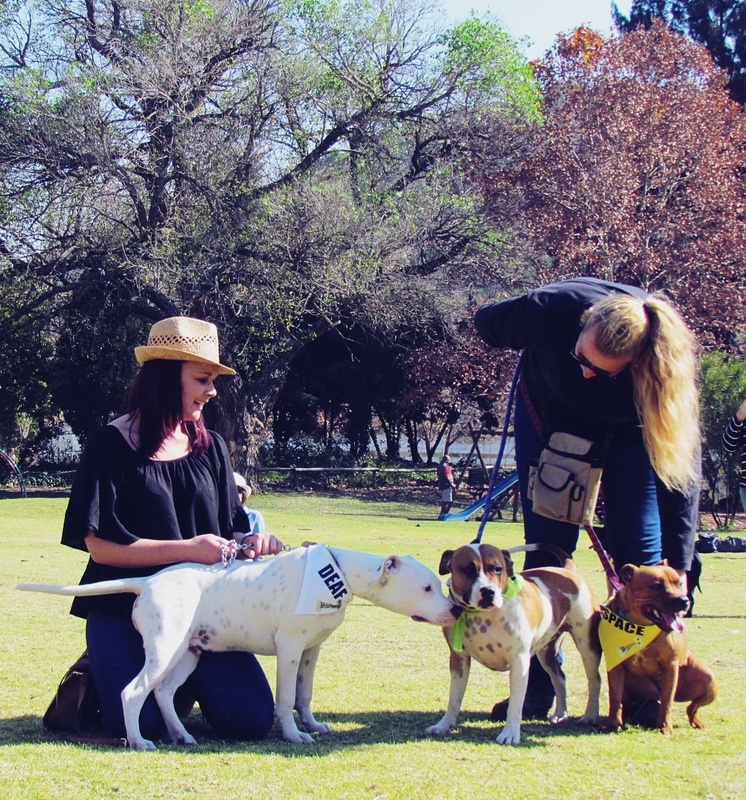 If you couldn’t make the Pitties In The Park today, no worries, there are plenty of other ways you can help make a difference in the lives of our loved Pitties. Here are just a few other fund raisers we currently have on the go. 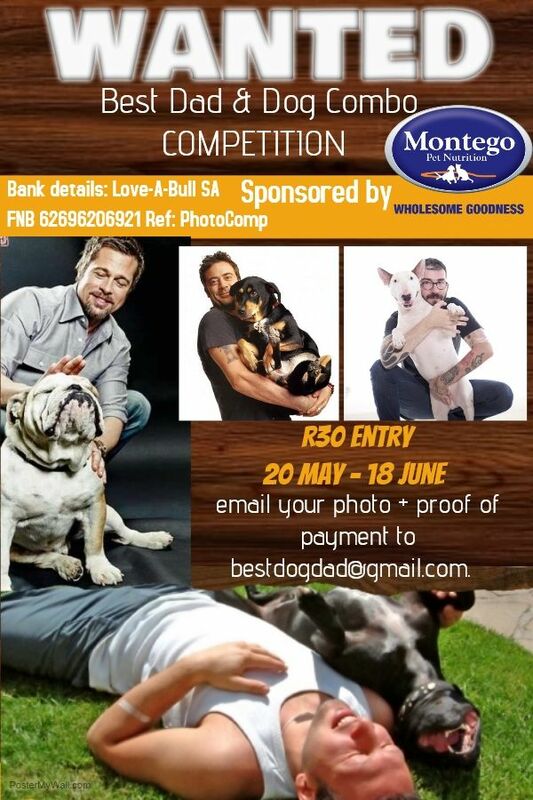 June is the month we celebrate dad’s and over at Love-A-Bull we are especially all about celebrating the furkid Dad’s so make sure to send in your entry. Please remember to vote for us? Other ways you can make a difference. If you’re not able to adopt a Pitt Bull from us, you could sponsor one, this is an amazing initiative that is working well for us. 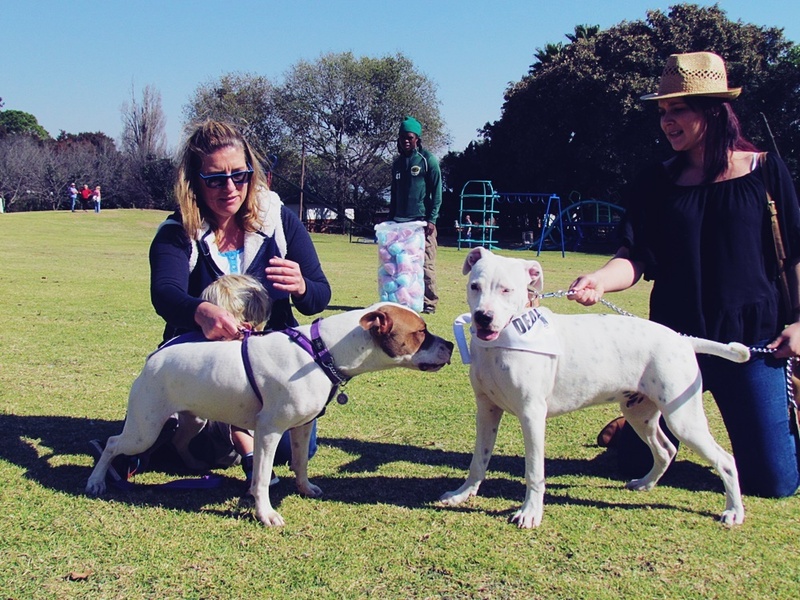 For R250 a month, you can sponsor a Love-A-Bull Pitt Bull. 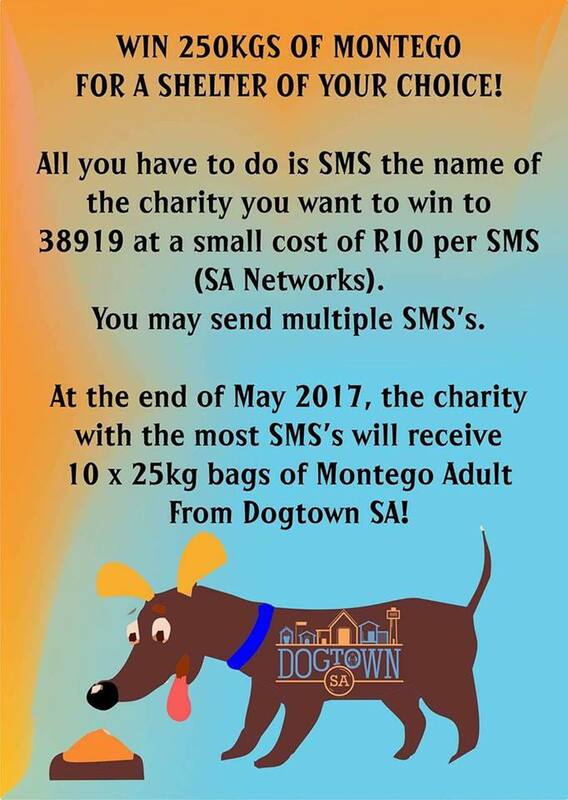 Your sponsorship goes towards all your sponsored dogs food and vet bills for the month. Chino has been adopted! It all happened quite surprisingly too. Judy had done a home visit with a family who had expressed interest in adopting Gucci. Unfortunately the home visit didn’t work out for Gucci but the family completed all the forms anyway and came along to the Pitties In The Park event where they met and fell head over heels in love with Chino! 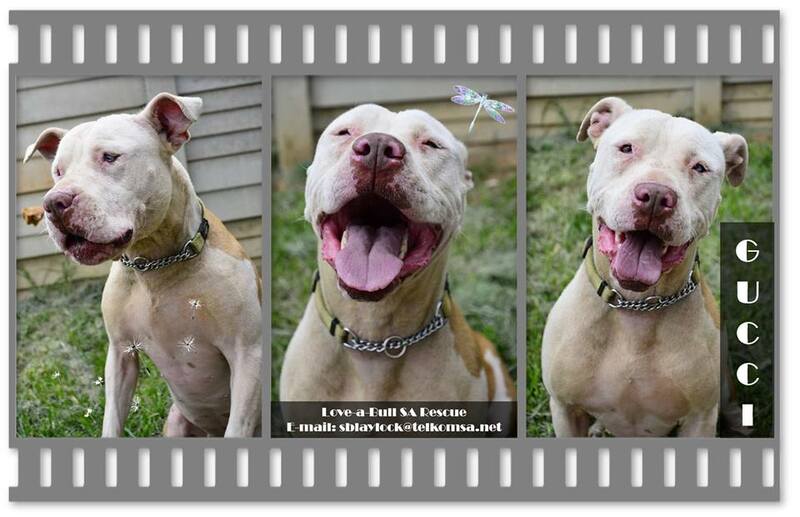 So tonight, our sweet Chino will be spending her first night in her furever home, with her very own furever family. 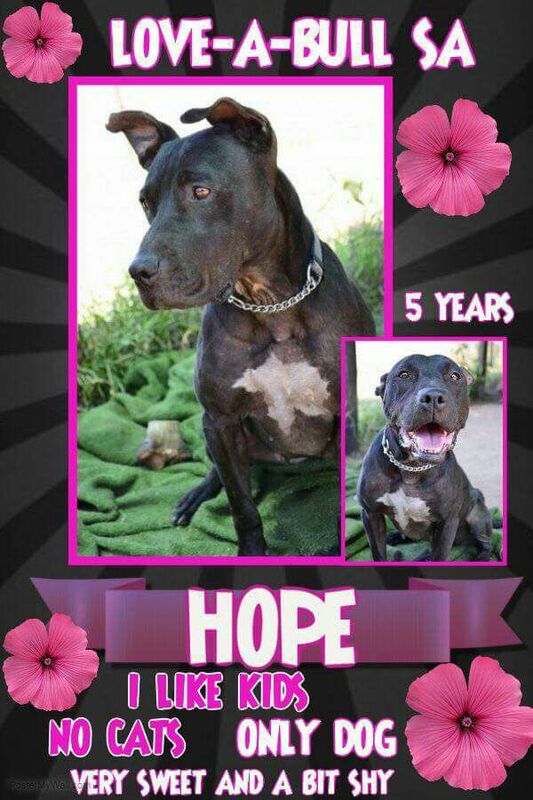 Go well sweet girl, wishing you a long and happy life! We are determined to find our gorgeous Gucci the perfect furever home! If you are interested in adopting Gucci, please check out our adoptions page here and download the relevant forms. We would also be thrilled to see Hope and Patches to very sweet girls, find their furever homes too! A number of you have asked to come and visit with the dogs. Because of the vulnerability of the breed, our location is kept secret. We do not disclose it to anyone. Our first priority is protecting the dogs in our care. And while we appreciate everyone’s help, please understand that we have had bad experiences in the past with people arriving at our kennels who have ulterior motives. It’s for this reason and this reason alone that we don’t disclose our location. And that’s a wrap of this weeks news. If you’d like to keep up with all latest news and happenings at Love-A-Bull, be sure to follow us on Twitter, Instagram and Facebook.